The mission of VFW’s across the country are to provide support and a sense of community to veterans of all ages, however chapters across the country are receiving less funding to provide this support. 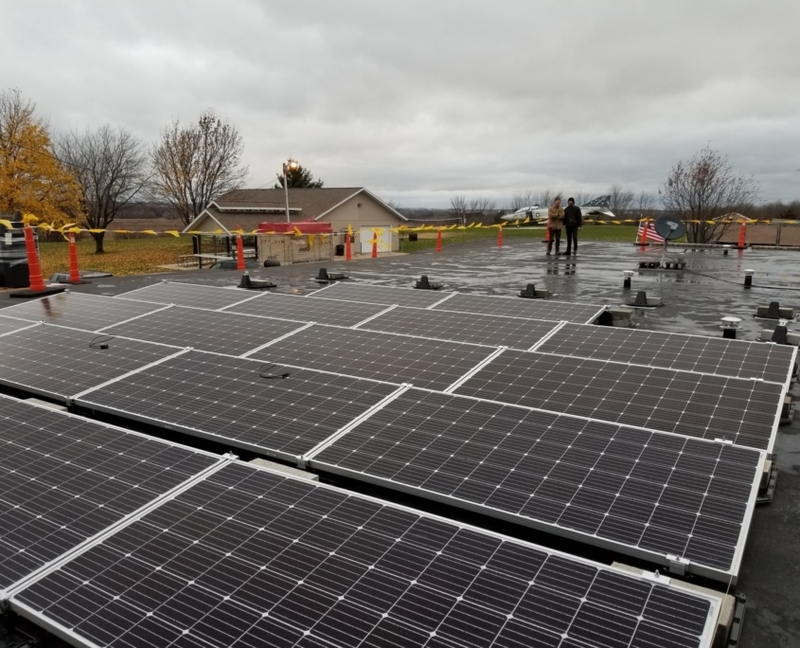 In response, the Truax-Longmire VFW Post 8483 (one of two VFWs in Madison) organized and made plans to improve the environment and lower its operating expenses by producing most of its energy onsite. 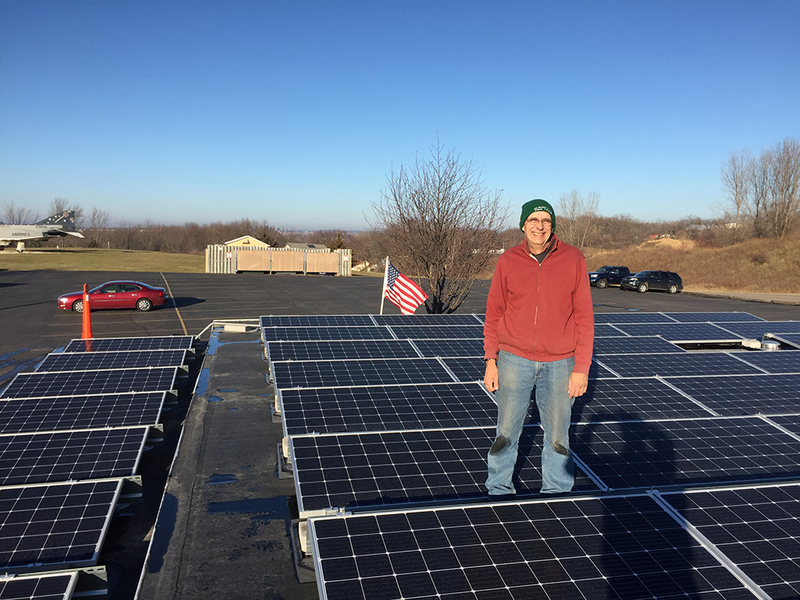 Legacy Solar Co-op, in collaboration with member Midwest Solar Power, designed a system of 72 photovoltaic panels on a fixed roof mount, and now covers the entire flat part of the building’s roof. 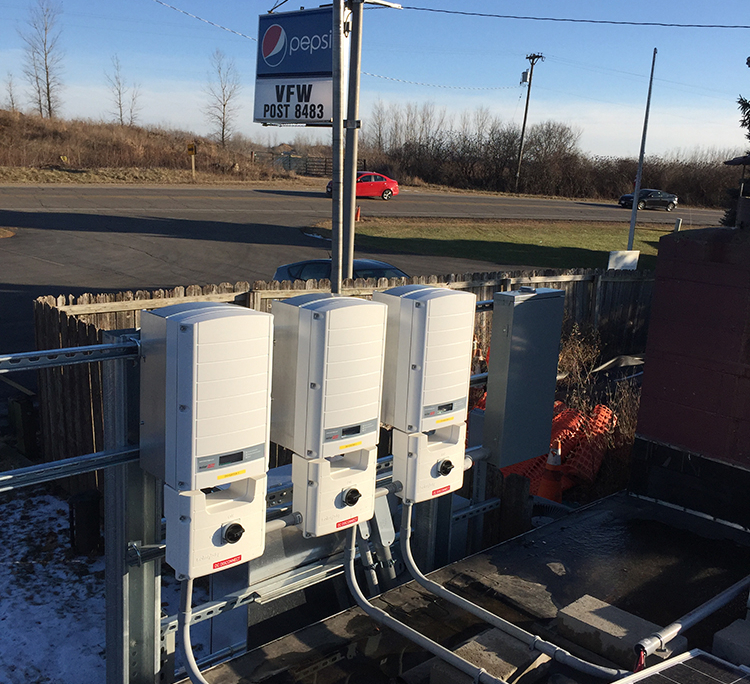 The system, thought to be the first of its kind for VFWs in Wisconsin, will generate about $5,000/year in savings and produce 2/3’rds of the post’s annual energy demand. Like many buildings that provide food service, much of the building’s energy is used for refrigeration. The post is also in the process of lowering its energy consumption by installing LED lighting and other energy-saving technologies (another consulting service provided by LSC). 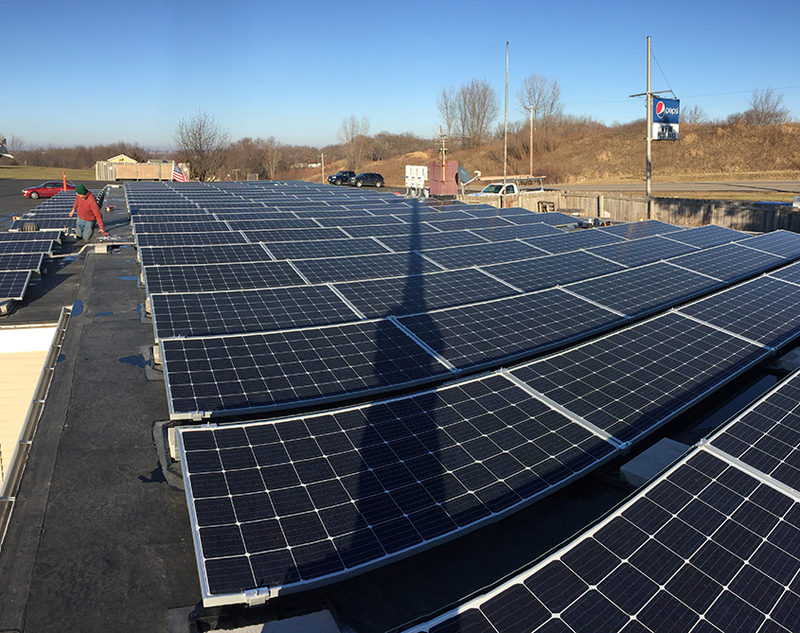 One tree was also taken down to maximize their solar production. 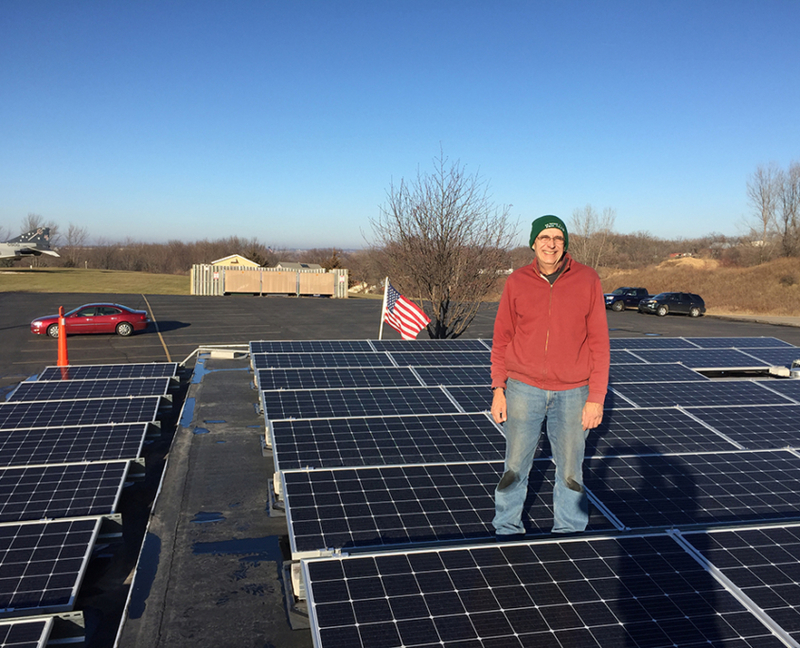 Funding was made possible largely by member support in the form of the purchase of solar bonds through Legacy Solar Co-op. 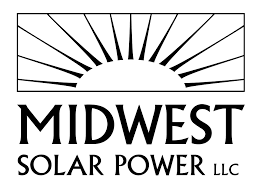 A significant portion of the project came in the form of Focus on Energy’s Renewable Energy Competitive Incentive Program (RECIP) and Solar for Good grants. This project is meant to be a good example of environmental stewardship and a rallying point for veterans and soldiers in the community. The system is expected to be paid off and owned by the VFW in 12 years, however energy savings will be realized right away. 2018 Annual Meeting General Beer Northwest, Inc.